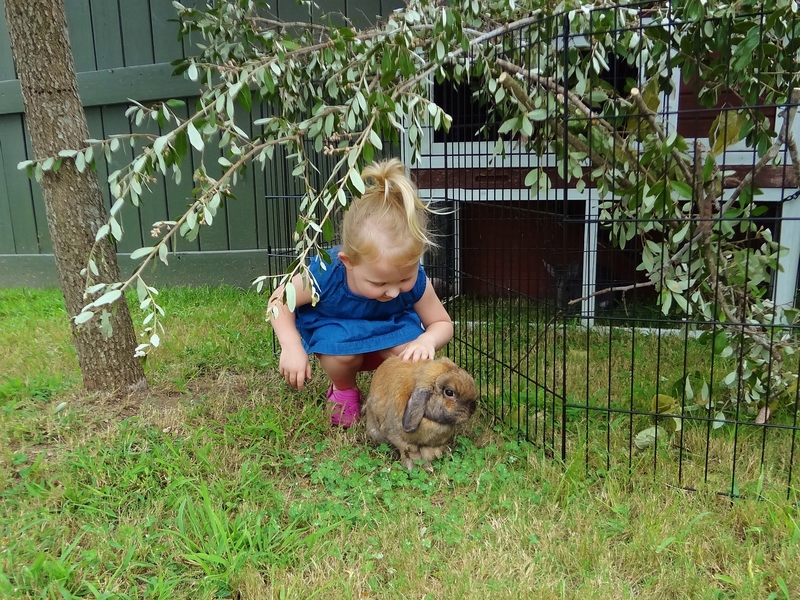 Two animal advocates in training visited our back yard this week. The handsome gentleman in the lavender shirt is my pal and neighbor, Philip. Don’t let his kind face and charming demeanor fool you. Philip is the neighborhood troublemaker. Don’t let your guard down around this guy! 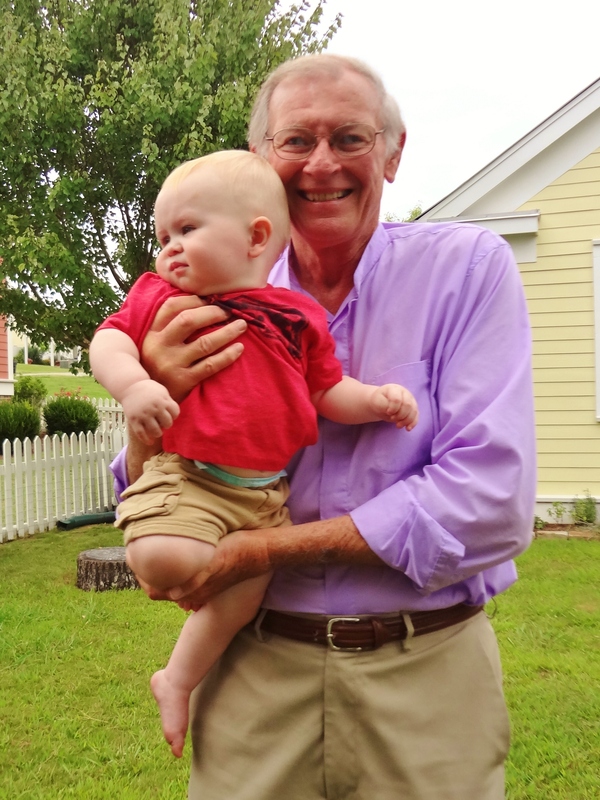 The bundle he is holding is his grandson and this little charmer is his granddaughter. Can I pat the bunny? 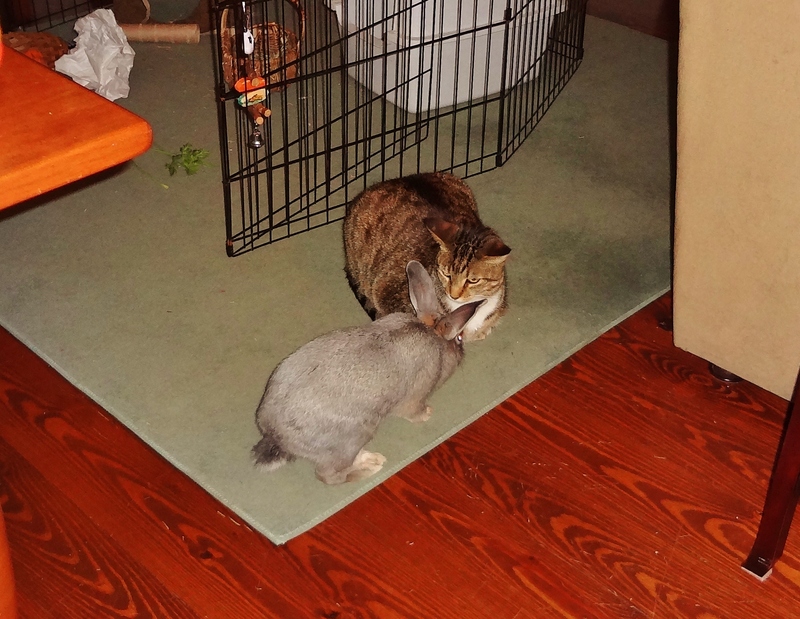 Buster obliged for a moment while she marveled at his soft brown fur. The ladies can’t get enough of me. 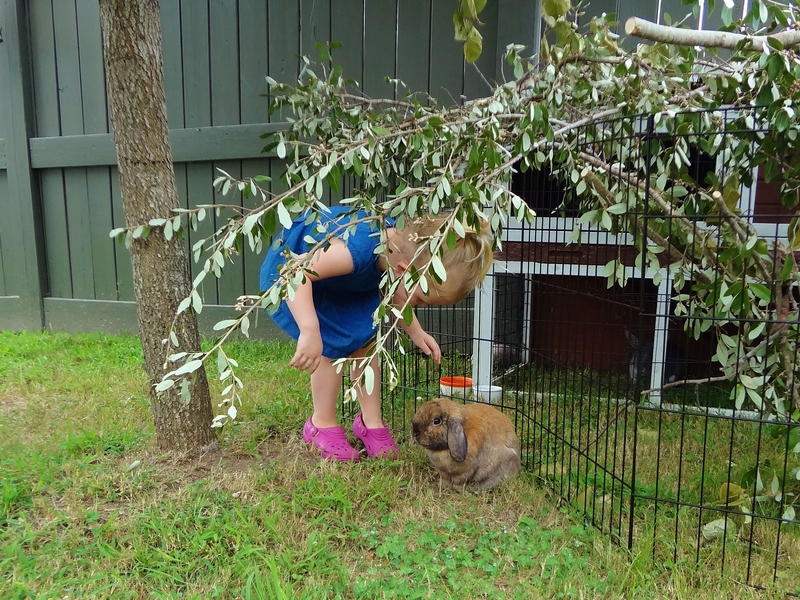 Graycie was hiding in the background in the shade of her enclosure and wouldn’t come out to have her nose skritched. She still thinks Busters “needs killin'” so we have to keep them separated. Another of my pets, however think she’s da bomb and tries to interact with her at every chance. You’re pretty cool for a cat! Let’s have coffee sometime. In news unrelated to aminals but very exciting to the two humans on the Burlingame farm is a new purchase we made this week. 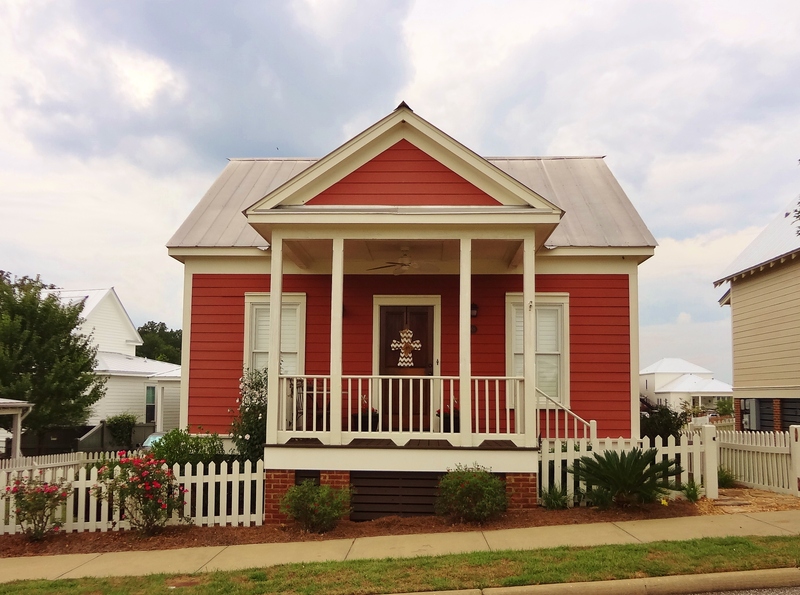 The SECOND cutest house in our neighborhood. ← Get a GRIP Graycie! Indeed! Wait til you see the inside after we trick it out.